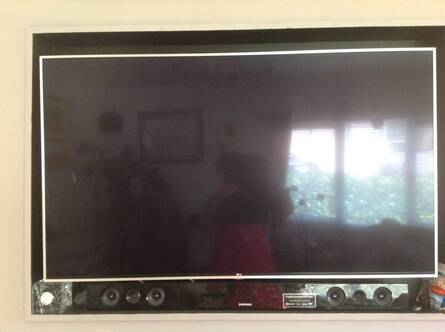 TV Size 32" to 70"
Solid and does the job well. Only bad point which is significant is that it does not allow lowering the level of the tv. You need to be very presice and central otherwise you have to keep pulling it in and out all the time. 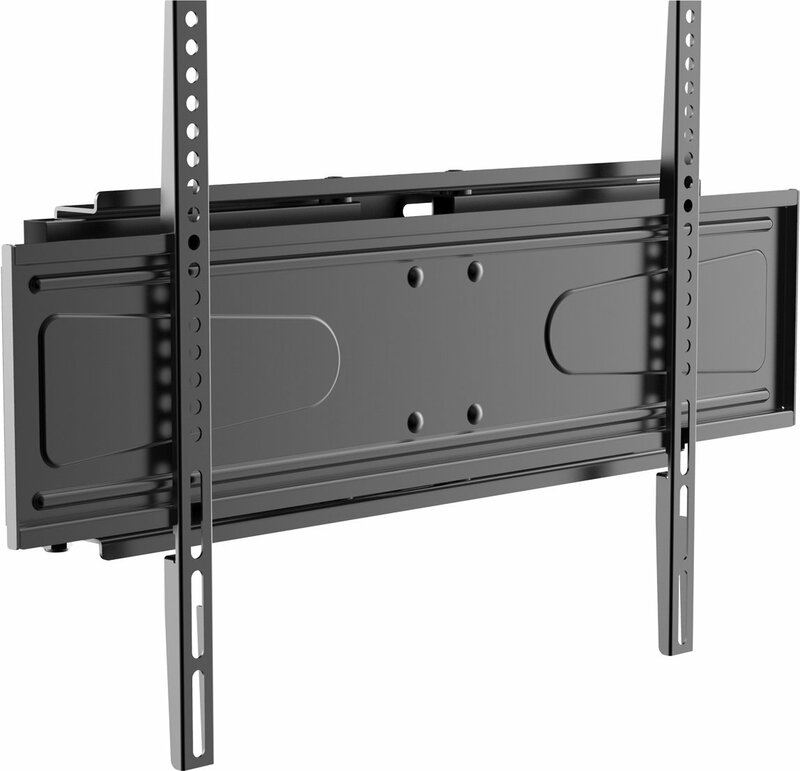 If it's in a recess like ours it's ok but difficult because you need hand clearance to pull TV out. Strong bracket. Hope that helps. 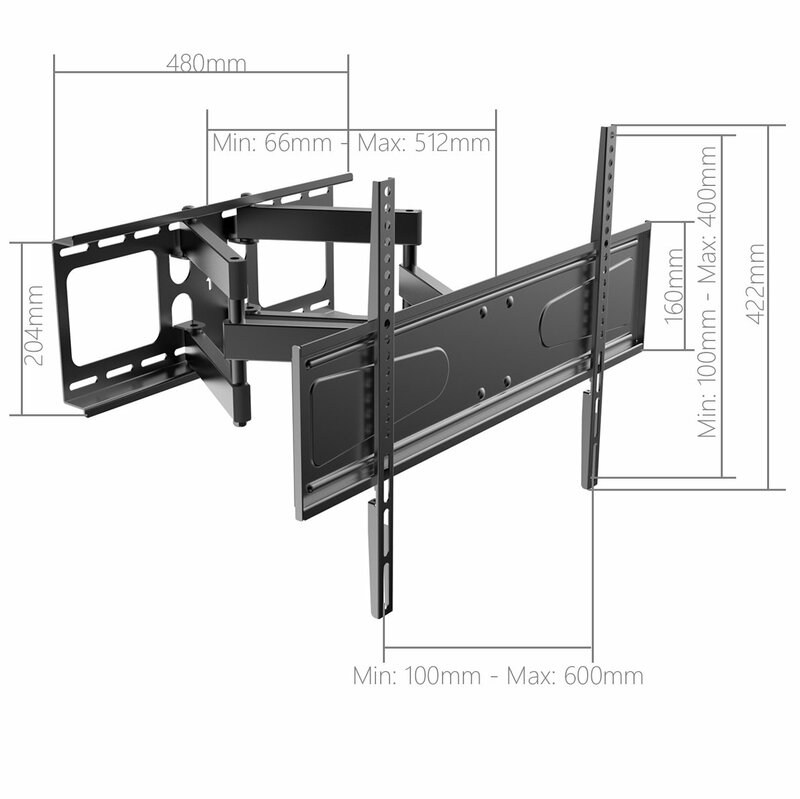 Unfortunately once it’s on the bracket then there is no adjustment that would allow you to absolutely centre the TV within the recess. The only adjustment is on the hinges, so out from the wall, swivel left and right and a small degree of tilt down and up. I cut a piece of cardboard to the size of my screen and taped it to the bracket to help me position it before drilling. 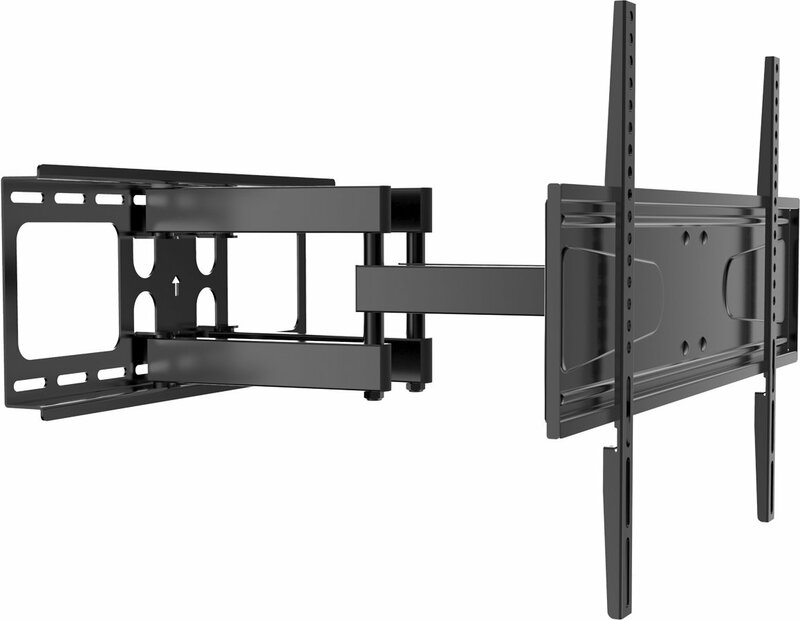 Yes provided that there is a bit room to grip the tv at both sides then it is possible to pull it straight out. 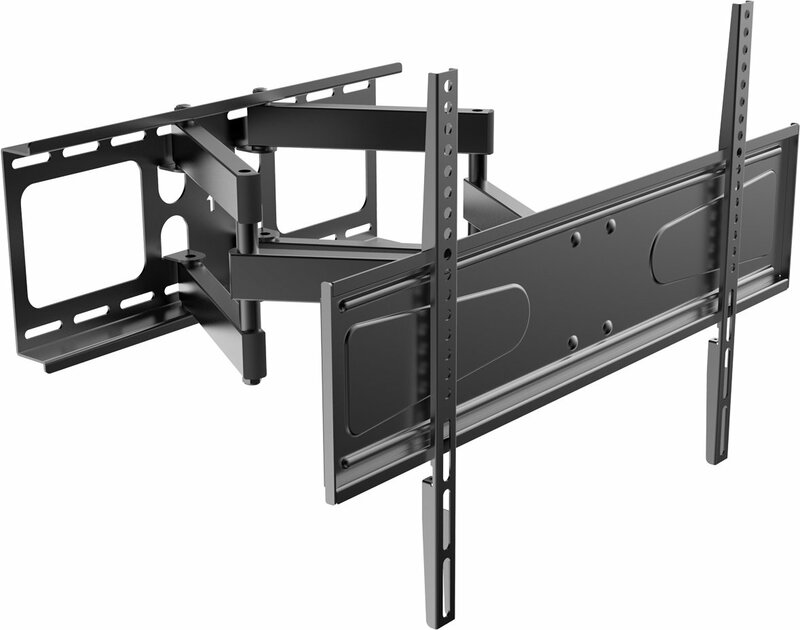 THE TV HANGS ON THE TWO VERTICAL STRUTS WHICH YOU FIT TO THE BACK OF THE TV FIRST, VERY STURDY BRACKET. It comes with all the fixings you will need for various makes of tv. Excellent piece of kit. Does the bracket allow it to turn 90 degree from being flat on the wall. Would be ideal for tv in a corner ! Hello there, I am not a good advisor on this matter sorry mate. The only thing I can add that it's quite heavy and very reliable one. Strongly recommend to buy but can't advise on installation.